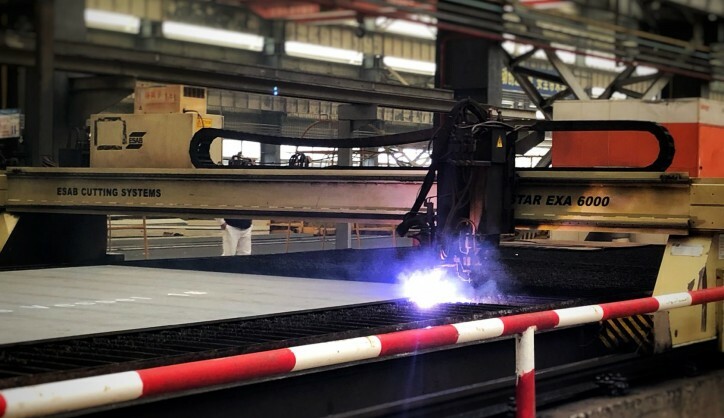 The first steel of the OHT semi-submersible heavy lift crane vessel was cut on 1 March at the CMHI yard in China. The Ulstein designed vessel is developed for operations in the offshore renewables and installation market. The vessel has the ability to perform heavy lift crane operations with the main deck submerged. 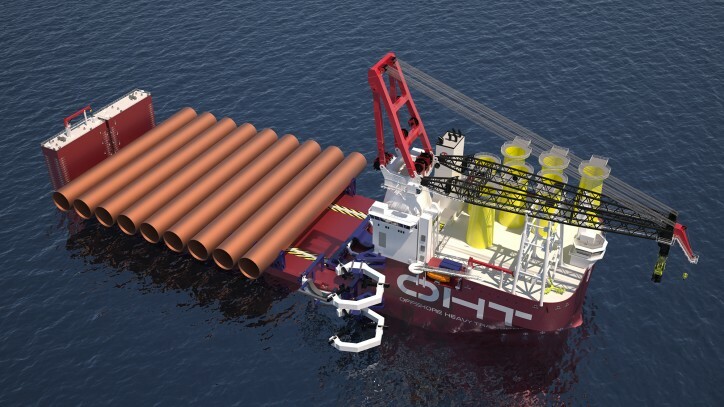 According to the Norway based shipowner Offshore Heavy Transport (OHT), they are increasing their capabilities to become a full transport and installation contractor with the addition of the new heavy-lift crane installation vessel to their fleet. The innovative ULSTEIN Alfa Lift project is a response to the increasing demand for efficient transportation and installation solutions within the offshore wind market. 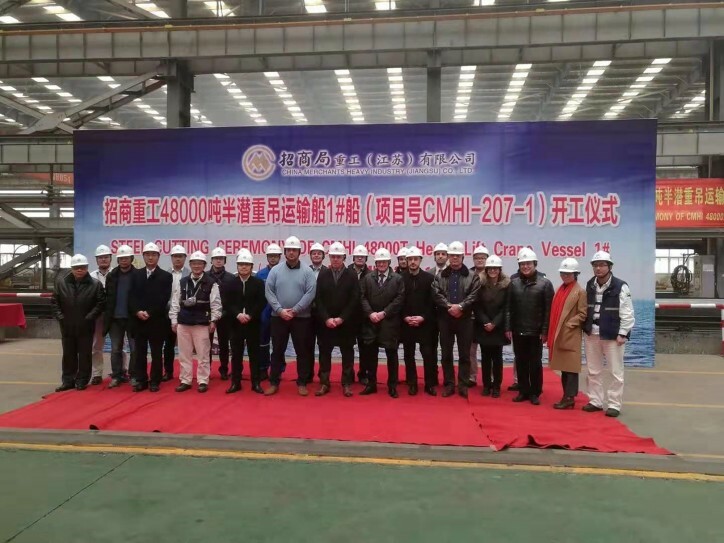 The vessel is currently under construction at China Merchant Heavy Industry (CMHI) and will be available for construction and installation activities from early 2021. What makes this dynamically-positioned, 48,000 DWT vessel exceptional, is the ability to perform heavy lift crane operations with the main deck submerged. The patent-pending design combines the benefits of a semi-submersible transport vessel with a large, 3,000 mt lifting capacity main crane from Liebherr. 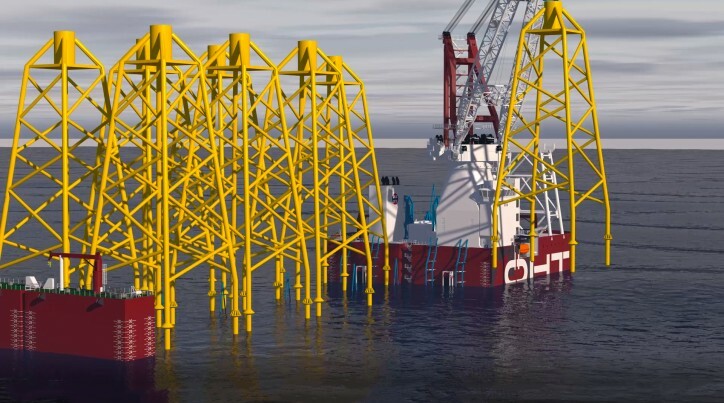 The vessel’s capabilities match the future requirements of the offshore wind industry, allowing her to transport and install upto 10 x 1,500t ultra-large jacket foundations or 11 x 2,000t XXL monopiles plus transition pieces for the largest anticipated Wind Turbine Generators. ’We started the development of the ULSTEIN Alfa Lift idea back in 2015 with the driver to increase the safety of submerged operations and at the same time increasing the operability window for subsea installations using a crane,’ says Edwin van Leeuwen, managing director at Ulstein Design & Solutions BV.